HomeBREADTalk SM Seaside City, Cebu, Philippines! BreadTalk, a Singaporean lifestyle brand that has gained international appeal, is widely credited for taking the bread and bakery industry to new heights. Located at the lower Ground Floor, Mountain Wing, SM Seaside City Cebu, SRP (South Road Properties), Cebu City. Its introduction of the Flosss® bun propelled the brand into consumers’ minds and since opening in 2000, BreadTalk has continued to churn out exciting products and offer a unique shopping experience for its customers. 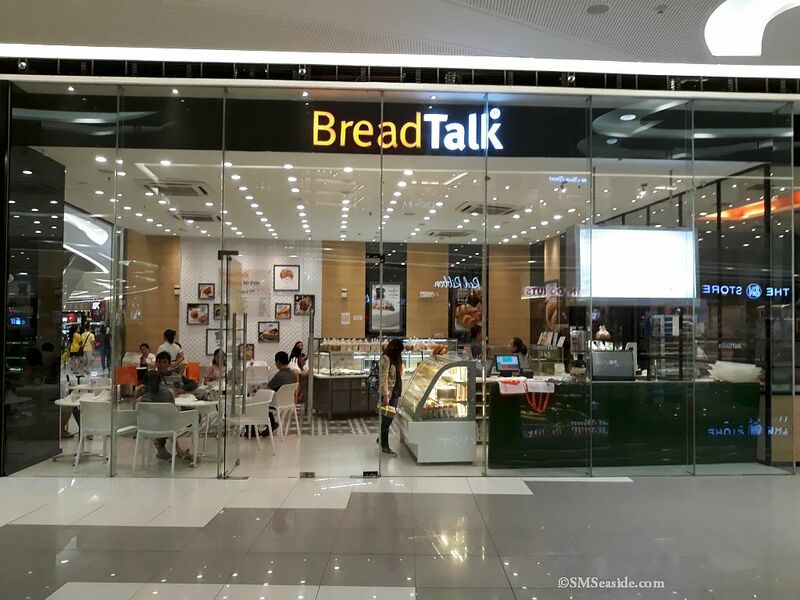 Emphasizing its boutique bakery concept, each BreadTalk store is literally a bread shopping haven where each product tells a story. Be it a chef’s or baker’s own inspiration, the workings of politics or society’s trends, BreadTalk’s ‘Earthquake Cheese’, ‘Mr. Beans’, ‘Crouching Tiger, Hidden Bacon’ are just some of the bread that have brought real stories to life. Youthful names and designs, the store’s clean lines, and BreadTalk’s open kitchen all come together for a fun and sophisticated experience.